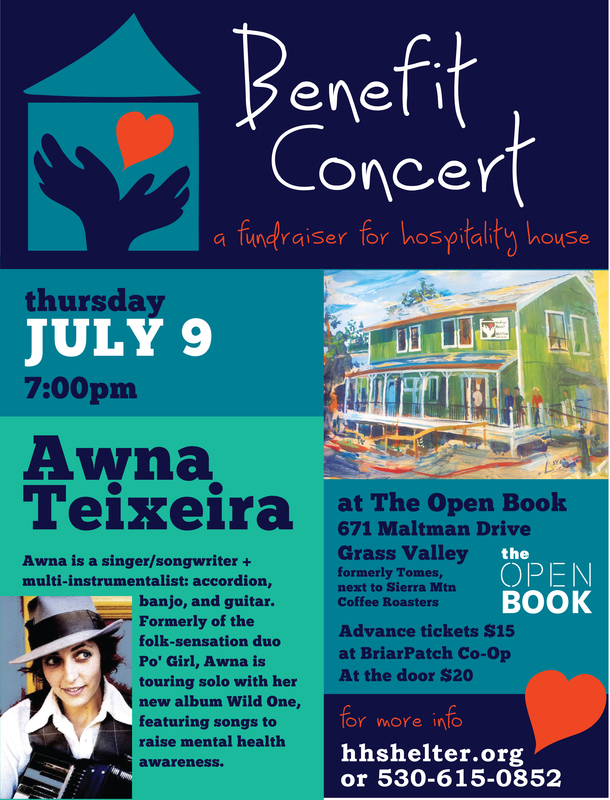 Portuguese/Canadian roots singer, song writer, and multi-instrumentalist Awna Teixeira will perform a benefit concert for Hospitality House on Thursday, July 9 at The Open Door (formerly Tomes) at 671 Maltman Drive, Grass Valley (in the Brunswick Basin). 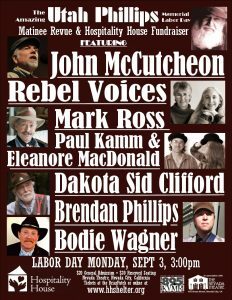 The concert will begin at 7:00 p.m. Tickets are available in advance for $15 at BriarPatch Co-Op and online at hhshelter.org; they will be sold at the door for $20. Teixeira, formerly of the popular Canadian urban roots duo Po’ Girl, is touring solo in support of the March release of her second album, Wild One, which reflects her concern with the tragedy of mental illness. She calls the international tour her “Blue Heart on Your Sleeve Tour,” named after a song on the album written for her grandmother. 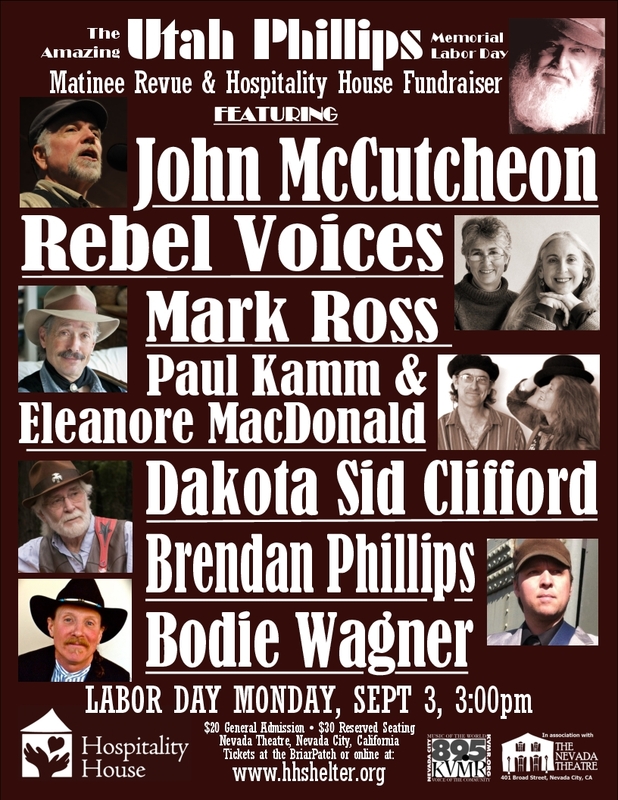 Partly, the purpose of the tour is to raise awareness of mental illness. 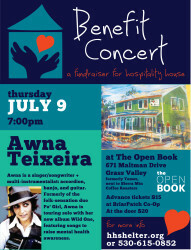 Teixeira has been supporting mental health organizations in the countries she tours by donating proceeds from ticket sales and sales of blue heart-shaped patches that may be worn or displayed in solidarity with those who suffer from mental and emotional challenges. This year Hospitality House celebrates its tenth anniversary operating as the only emergency homeless shelter in Nevada County. In addition to providing shelter, food, clothing, and access to medical care, the shelter also runs a housing program that since 2013 has placed 262 homeless Nevada County residents (including 78 children) into permanent homes of their own. 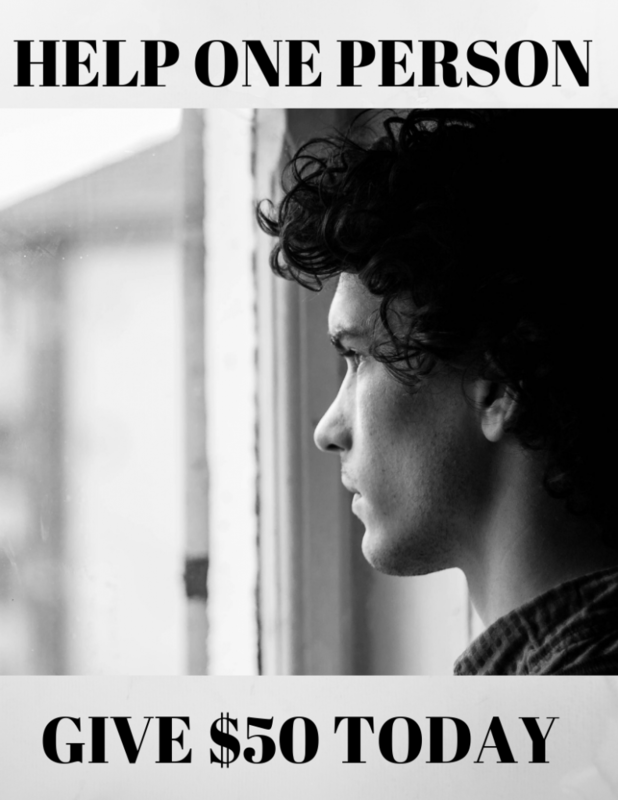 The Nevada County Behavioral Health Department sponsors an onsite psychotherapist at the shelter to provide care for the many guests who suffer from mental illness. The shelter also partners closely with Western Sierra Medical Clinic to provide ongoing managed health care.